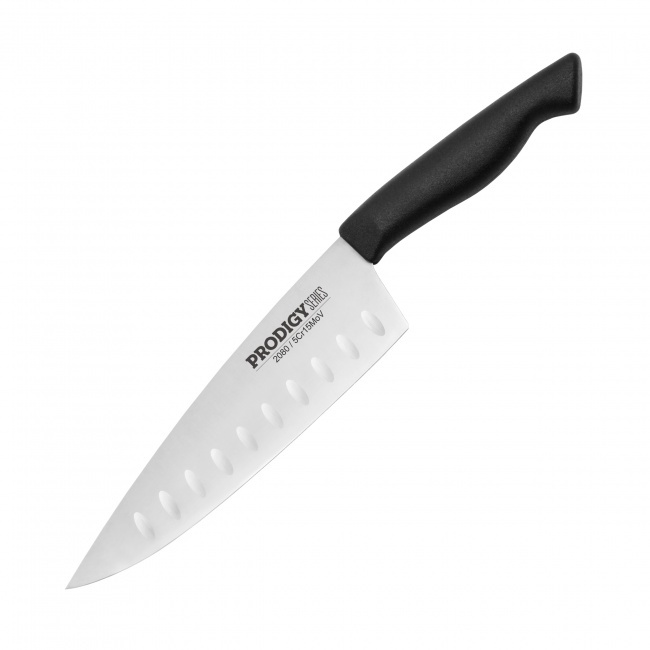 The Pro-Series 7″ Santoku features our patented ergonomic design for unmatched comfort in the cut. The handle is angled for a natural feel and the blade is precision tapered with a 18 degree cutting edge all designed for perfect balance. 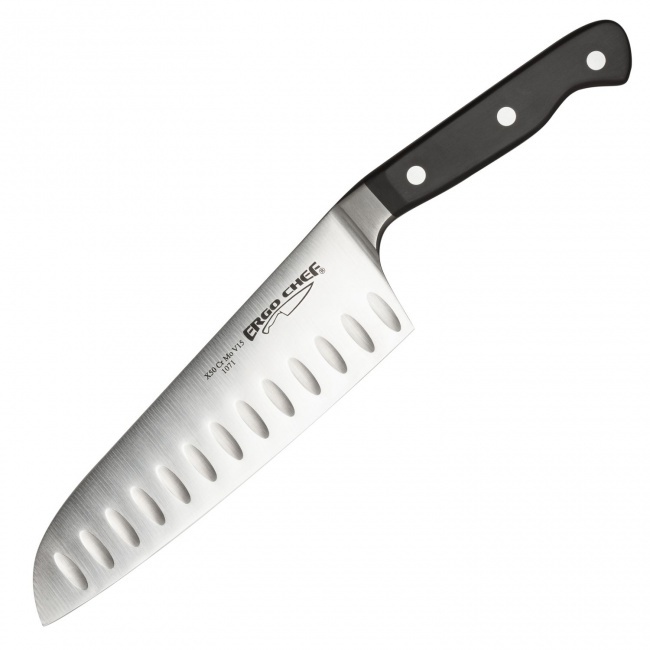 This is one of the lightest fully forged 7″ Santoku’s available today. The patented angle & the light weight provide less strain on the hand wrist & forearm offering the most efficiency possible when cutting. 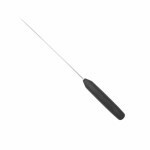 The thin blade allows for extremely precise and smooth cuts. Great for Onions, Tomatoes, Peppers, Carrots, Celery and all veggies & fruit. 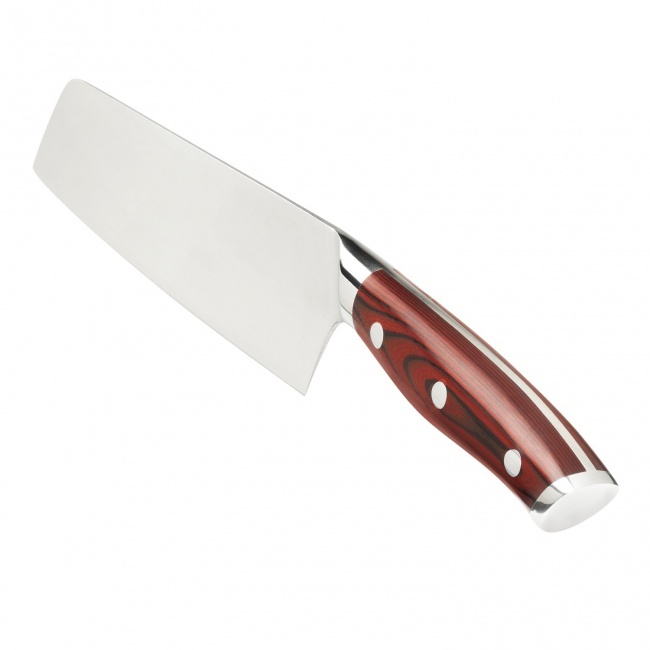 This CRIMSON 7″ Nakiri knife features our patented design proven to reduce strain and increase efficiency. 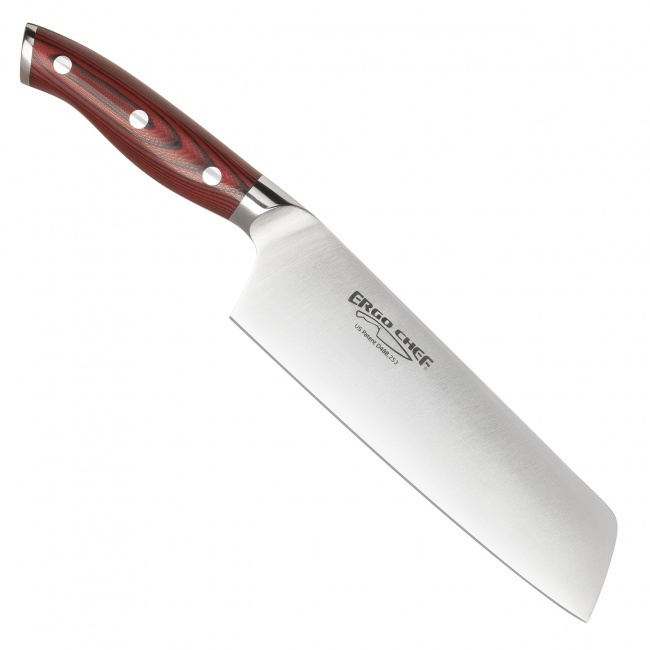 The blade is precision ground to 18 degrees and polished smooth for thin cuts. This Nakiri is shaped with a slight curve on the blade for a rocking cut or a downward motion cut. Designed for chopping vegetables and fruit. Order yours now! This value priced 8″ PRODIGY Chef knife delivers unmatched performance & value for cutting all your vegetables, fruit and meat. Designed after our Pro-Series line this NSF approved knife has a non slip handle that provides safe control. 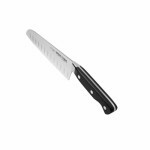 The precision sharp 8″ cutting edge handles large food product. 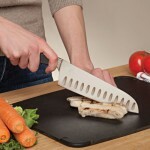 The design makes the knife a true extension of your hand for natural comfort feel. That’s just smart!